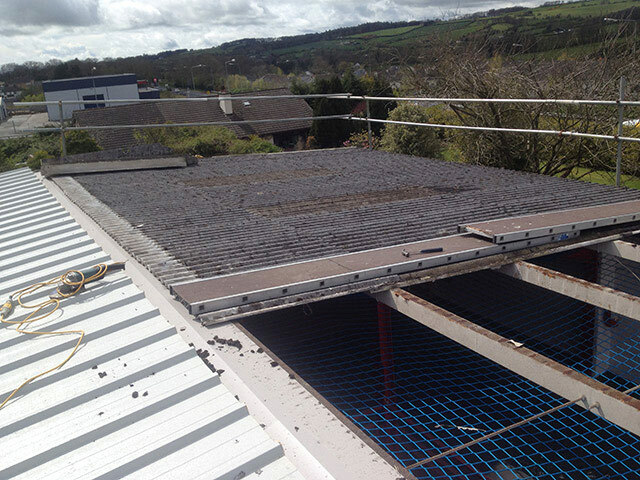 Flat Roofing Solutions provide a full comprehensive service in dealing with asbestos removal. We are fully trained and licenced for stripping, wrapping, sealing, bagging, transporting and disposal of asbestos. 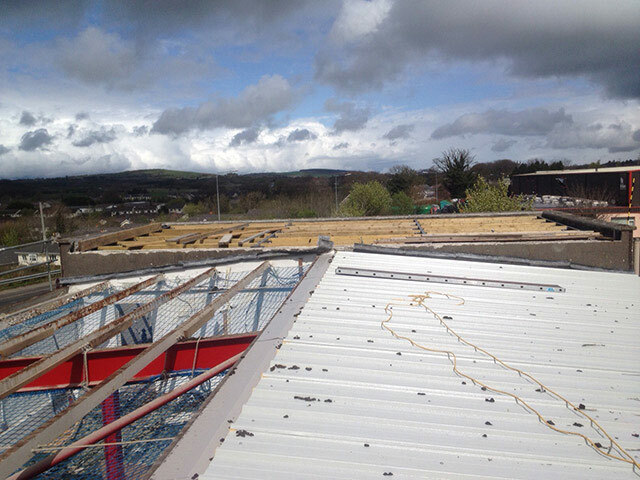 There is no need for co-ordinating various companies to deal with this separately which could subsequently cause delays in the contaminated material being removed off site. 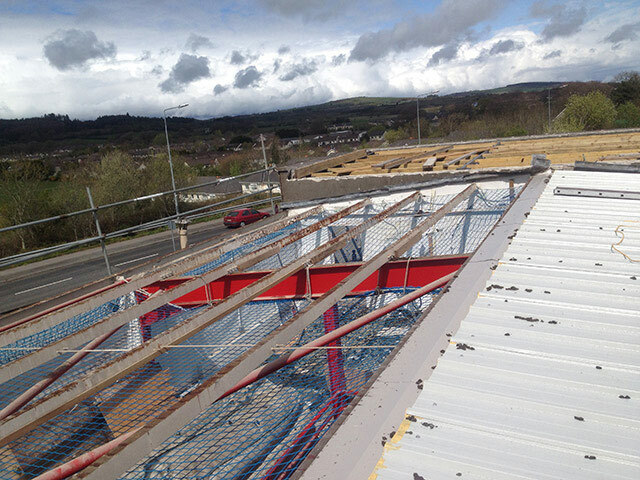 All works will be carried out in full compliance to HSA Guidelines including netting and edge protection. Insurance and transportation certificates will be provided together with disposal certificates from RILTA. 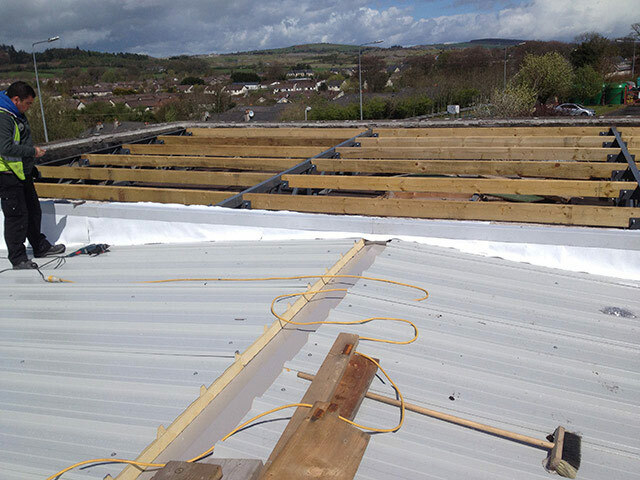 We can also replace asbestos with Kingspan or Tegral cladding subject to client’s requirements. 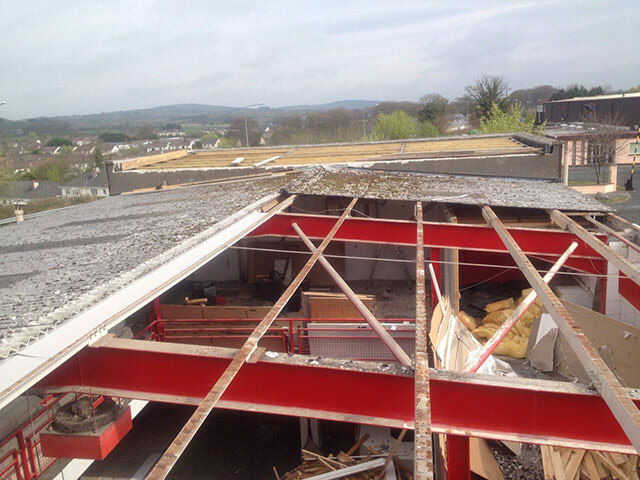 We removed the old asbestos roof out of an industrial unit down in Clarke's Joinery in Blessington and replaced it with a Kingspan 80mm insulated panel. Click on any of the images below for a larger view of that image.